"A good horse is never a bad colour"
The American Paint Horse should conform to the same "stock Horse'' body type desired in Quarter Horses: a muscular animal with a broad chest and powerful hindquarters suitable for rapid accelarating and sprinting. Yet American Paint Horses display a remarkable degree of refinement and beauty, especially about the head and neck. 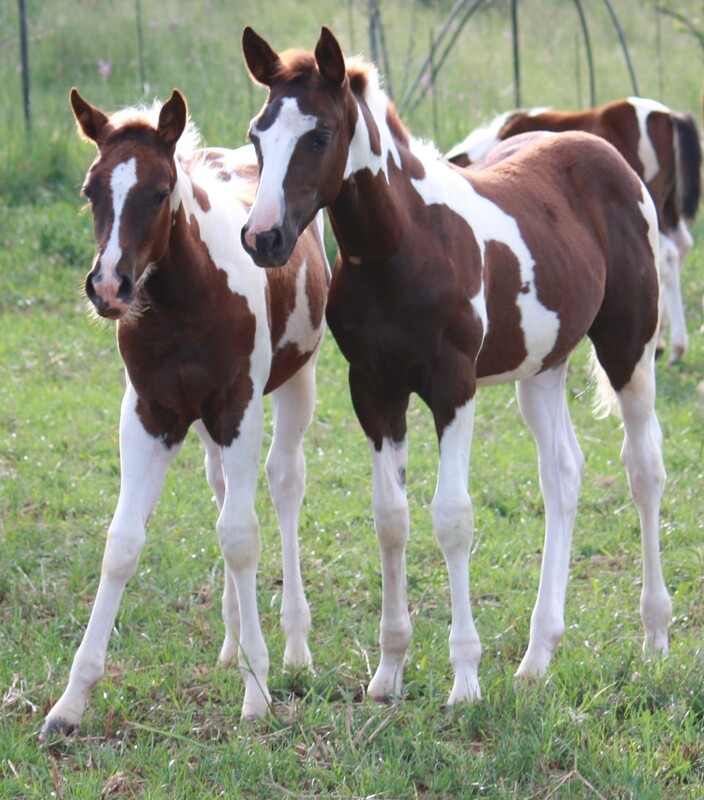 While the colourful coat pattern is essential to the identity of the breed, American Paint Horses have strict bloodline requirements. The Quarter Horse is an American breed of horse that excels at sprinting short distances. Its name came from its ability to outdistance other breeds of horses in races of a quarter mile or less. The American Quarter Horse is well known for its performance in reining, horse shows, racing, cutting and as a working ranch horse. Quarter Horses come in nearly all colours - sorrell, chestnut, bay, black, brown, buckskin, grey, dun, red dun, grullo (blue dun), roan, perlino, cremello and palomino. 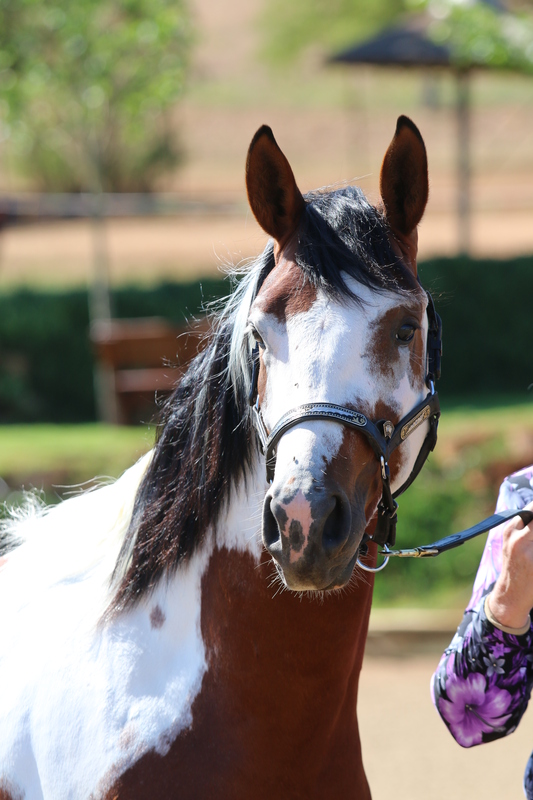 A halter class where the handlers ability to maneuvre a horse through a pattern is judged. The turnout of the horse and handler will also be taken into consideration. Conformation of the horse is not judged. The riders all compete together in the arena, they must demonstrate a walk, jog and lope to the left and to the right. At the end of the class the riders are asked to rein back. The calm manner of the horse and the quick reaction to the aids given by the rider during transitions are judged. Penalty points are given for riding too fast and for the wrong gait. Is a competition where the capabilities of the rider are judged. 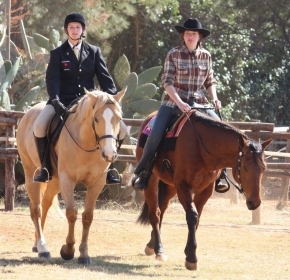 There are two parts to the class, the first part the rider must complete an individual course that has been given to them before the class and the second phase where the riders must compete together to show the walk, jog and lope. The judge pays attention to the seat of the rider, their confidence and the manner in which they communicate with their horse. This class is similiar to the working riding class, though the obstacles are similiar to those you would find out on the trail. There are 3 mandatory obstacles, opening and closing a gate, a backing obstacle and walking, jogging and/or loping over a pole or series of poles. The horse is judged on the willingness to follow the rider's cues and manoeuvre through the obstacles smoothly. The horse will be penalized for refusing, hitting poles, misbehaviour, etc. This competition calls for the rider to demonstrate complete control of the horse in every movement. The horse must complete a prescribed pattern (as in dressage) and the horse will be judged on neatness, manoeuvrability and obedience. Penalties are given to incorrect leads, breaking gait, resisting the rider's cues etc. The rider will be disqualified if they fail to follow the pattern correctly. The horse and rider select a cow out of a small group. When the cow tries to return to the herd, the rider loosens the reigns and leaves it entirely up to the well trained horse to keep the cow separated. A contestant has 2 and a half minutes to show the horse. Two to three cows are worked during a run. Typically horses that show natural cow sense are used. This is a new western discipline and is the perfect crossover from english riding to western riding. The same classical dressage principles apply, but with light / minimum contact as in normal western riding. The class is ridden in western tack. 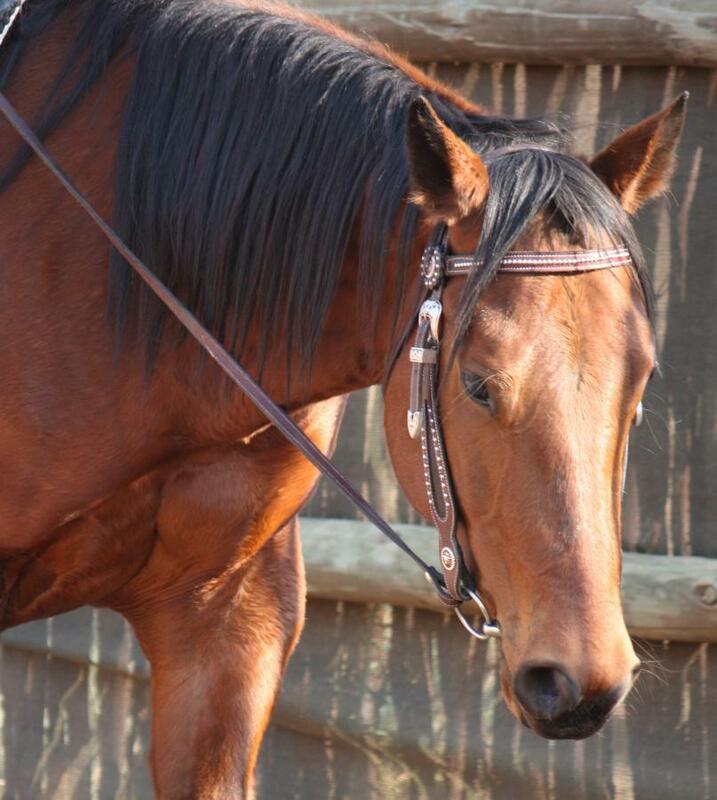 This class is for the more stock horse type horse that is normally associated with western riding. The horse's frame and head set should therefor be low and relaxed as it would be in western riding classes.